It’s going to be impossible to review this book without comparing it to the works of PG Wodehouse. The writings share a number of attributes — silly surnames, ridiculous situations, and even more unlikely solutions. Barrister Horace Rumpole tells stories from the first person, much like Bertie and Mr. Mulliner, but his are from the Old Bailey and its environs. And instead of focusing on the theft of cow creamers and fickle romances, Rumpole must use his wits to set free ne’er-do-wells who (probably) didn’t commit the crime they are on trial for. Somewhat jaded, Rumpole has seen it all at this point. He is little fazed by the cluelessness of dregs of society or the incredible antics of the Ministers of Parliament. His nonchalant narrative makes the stories all the more entertaining for a lay audience. One needn’t be a student of the law to get caught up in the tales of the court anymore than you need to have a country house to want to go Bunburying. I will admit, however, that my maniacal watching of Law & Order: UK hasn’t hurt any with some of the vocabulary. Unlike Bertie Wooster, Rumpole is actually trying to better his world, one client at a time. He doesn’t think of himself first, or rely on a Jeeves to get him out of a scrape. Rumpole takes on injustice when everything stacked against him. He thrives on it. He’s a bit like Wile E. Coyote, except his traps actually work. 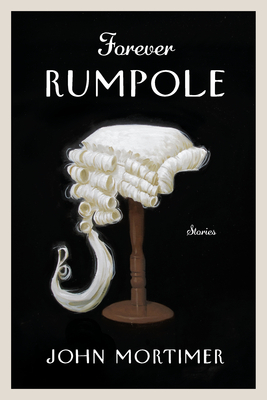 While other barristers and solicitors are content with a deposition, Rumpole finds the one tiny detail that unravels an entire case. Reading Rumpole is a sheer delight. The stories are lithe and funny. Mortimer has drawn imperfect, realistic characters for us to watch from the gallery. Or better yet, beside him at a pub, sharing a pint and stories of “that time when…”. A great many thanks to Meghan at Viking for the review copy.